So I finally got my Dreamcast, get a step down converter, and play my first game that comes with it, deSPIRIA. 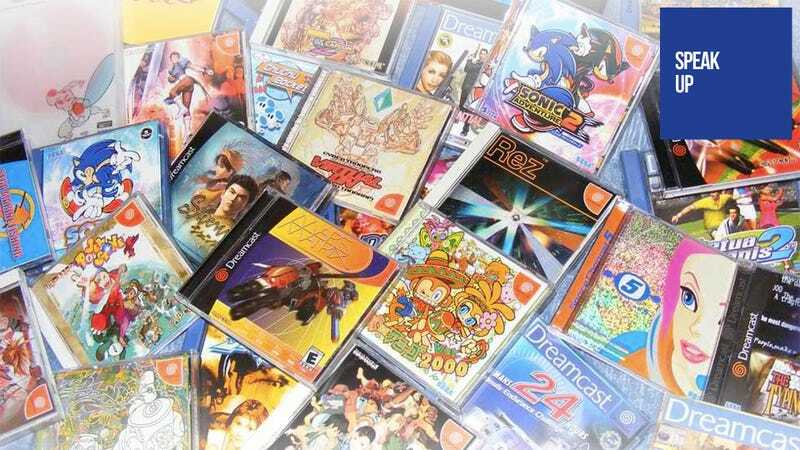 The question to fellow Dreamcast owners, what games should I get? And I love it, the controller is not perfect, but it still fun (and to keep the controller from being borked, maybe I'll buy an adapter for PS controller). Also another question, is Dreamcast really that loud? About Speak Up on Kotaku: Our readers have a lot to say, and sometimes what they have to say has nothing to do with the stories we run. That's why we have a forum on Kotaku called Speak Up. That's the place to post anecdotes, photos, game tips and hints, and anything you want to share with Kotaku at large. Every weekday we'll pull one of the best Speak Up posts we can find and highlight it here. And yes, Giga, the Dreamcast really is that loud.